Can entrepreneurs learn from how science beat Cholera? 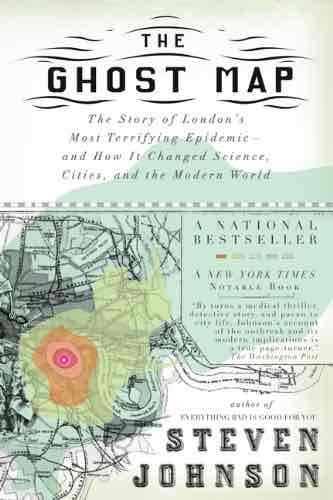 When I picked up Johnson’s book, I knew nothing about Cholera. Sure I’d heard the name, but I didn’t know what a plague it was, during the 19th century. Johnson’s book is at once a thriller, of the deadly progress of the disease. But in that story, we learn of the squalor inhabitants of victorian england endured, before public works & sanitation. We learn of architecture & city planning, statistics & how epidemiology was born. The evidence is weaved together with map making, the study of pandemics, information design, environmentalism & modern crisis management. John Snow was the investigator who solved the riddle. He didn’t believe that putrid smells carried disease, the miasma theory prevailing of the day. Also: Did Airbnb have to fail? Although they didn’t know it at the time, the dumping of waste water directly into the Thames river was in fact poisoning people & wildlife in the surrounding areas. In large part the establishment was blinded by it’s belief in miasma, the theory that disease was originated from bad smells & thus traveled through the air. The interesting thing about John Snow was how much of a generalist he really was. Because of this he was able to see thing across disciplines that others of the time were not able to see. The discovery of the cause of Cholera prompted the city of London to a huge public works project, to build sewers that would flush waste water out to sea. Truly, it was this discovery and it’s solution that has enabled much of the population densities we see in the 21st century. Without modern sanitation, 20 million plus cities would certainly not be possible. In recent years we have seen public health officials around the world push for Thai poultry workers to get their flu shots. Why? Because although avian flu only spreads from animal to humans now, were it to encounter a person who had our run-of-the-mill flu, it could quickly learn to move human to human. All these disciplines of science, epidemiology and so forth direct decisions we make today. And much of that is informed by what Snow pioneered with the study of cholera. Previous PostPrevious Is Agile right for fixing performance issues? Next PostNext Is AWS the patient that needs constant medication?